Hey U.S.A! Let’s win the Clean Energy Race! 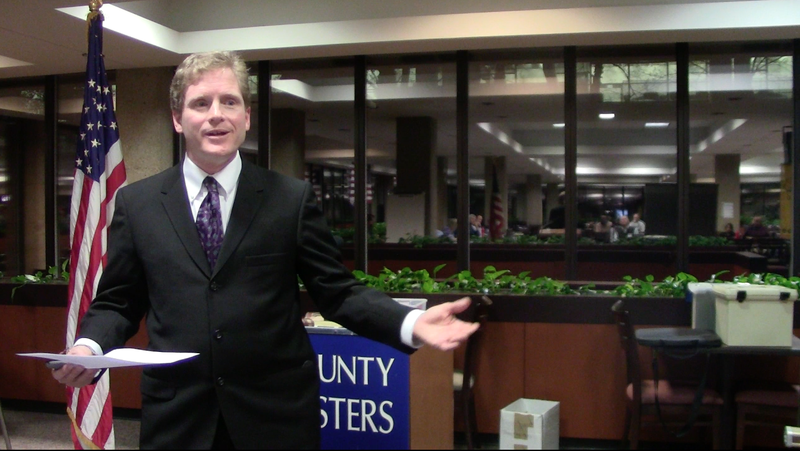 Below is the text of my speech for South County Toastmasters delivered on April 5, 2016. Question: Guess which country invested the most money in renewable energy, primarily solar and wind, in 2015? 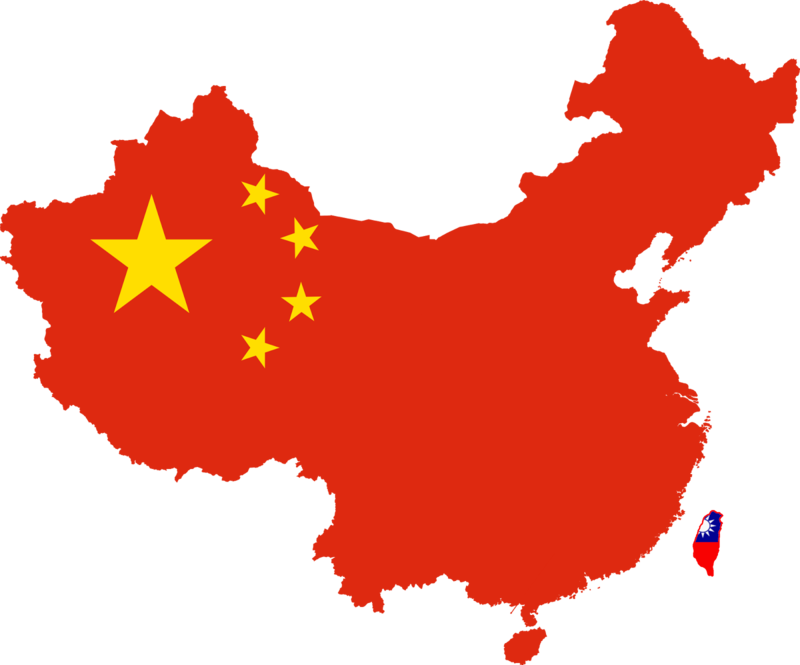 According to a Bloomberg News article from January 2016, in 2015 ‘China was the biggest market for renewables, increasing investment 17 percent to $110.5 billion. That’s almost double the $56 billion invested in the U.S. By the way, all of Europe invested $58.5 billion. One area where the competition between the U.S. and China is fierce is wind power. The non-partisan scientific news website, ClimateCentral.org, had this headline from March 2016, China, U.S. Lead Global Boom in Wind Power. As of right now, the United States is ahead of China total amount of electricity currently produced by wind. In 2015, U.S. generated 190 million megawatt-hours of wind power, powering about 17.5 million homes. China clocked in at 185.1 megawatt hours. However, with all of its new installations, China could blow past the U.S. this year with total electricity produced by wind. No pun intended! Image from Brian Ettling taken just outside Great Basin National Park in May 2012. That’s wind power, what about solar? Fortune Magazine had this headline from June 2015, China is utterly and totally dominating solar panels. In March 2014, Investment banking giant Citigroup, released a report titled, “The Age of Renewables is Beginning.” This is because of the explosive growth that has been happening for years with solar and wind energy. We are now in the Age of Renewables and China has every intention of winning this race. 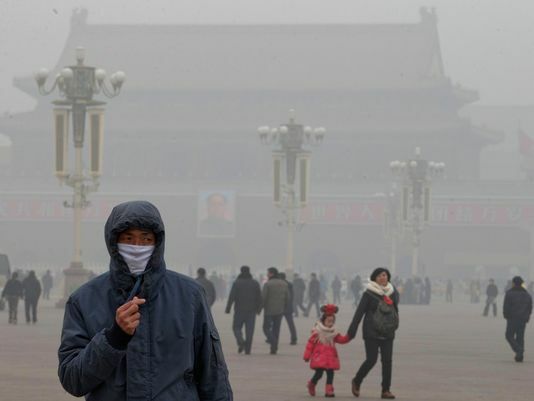 We should not take any action on climate change until China cleans up its pollution. Image from Brian Ettling of his nephews Andrew and Sam. Thus, there is a lot of pressure on the Chinese government to reduce their carbon pollution. You may not know this, but China is taking action on climate change. With all of their investments in renewable energy that I mentioned in the beginning of my talk, China intends to beat us. As Americans, we should be very concerned. How concerned should we be? “I would also suggest to my Free Enterprise colleagues — especially conservatives here — whether you think (climate change) all a bunch of hooey…the Chinese don’t. And they plan on eating our lunch in this next century. They plan on innovating around these problems, and selling to us, and the rest of the world, the technology that’ll lead the 21st century. So we may just press the pause button here for several years, but China is pressing the fast-forward button. Sufflolk County Community College Professor Scott Mandia with Brian Ettling, August 2012. “America is great because when we are faced with a challenge and especially with a threat, we collectively take action and we usually do quite well. The energy revolution is akin to the Internet revolution. I want America to take the lead. If we do, we create jobs, we sell products to China instead of buying them, we have cleaner air and water, greater national security, and energy savings put money directly into our pockets. Imagine it is the Olympics and the event is the Clean Energy Race. The US track team has always won the big events before and appears to be in the best shape to win again. This entry was posted in Uncategorized on April 8, 2016 by bettling. Congressional Offices on November 17, 2015. Below is my speech text that I gave at St. Louis South County Toastmasters on March 30, 2016. My speech text is a short summary of the February 16, 2016 Citizens’ Climate Lobby media packet: Supreme Court stay on the Clean Power Plan. This speech had a total time limit of 11 minutes. I had a 6 minute prepared speech, which is the first half of this blog. I then had a 5 minute question and answer period. I will then cover the questions and how I answered in the second part of the blog. Good evening, volunteers of Citizens’ Climate Lobby and all of you here. The recent bad news, our next step forward, and then good news. December 2015 in Paris, 195 nations agreed to limit global warming to 3.6 degrees Fahrenheit above pre-industrial levels. This goal was based on the broad understanding that exceeding 3.6 F would result in nasty consequences such as sea level rise, food shortages, worsening storms, and extreme heat waves likely to outpace our civilization’s ability to adapt. President Obama went to Paris promising that the United States would reduce carbon emissions up to 28 percent by the year 2025. He confidently made that pledge because of a new Environmental Protection Agency regulation, known as the Clean Power Plan. It aims to reduce carbon dioxide emissions at new and existing electric power plants. A strong commitment from the U.S. was essential to getting other nations to make pledges of their own. Image from Brian Ettling from November 2010. Navajo Generating Station, coal electric plant. located near Page, Arizona. 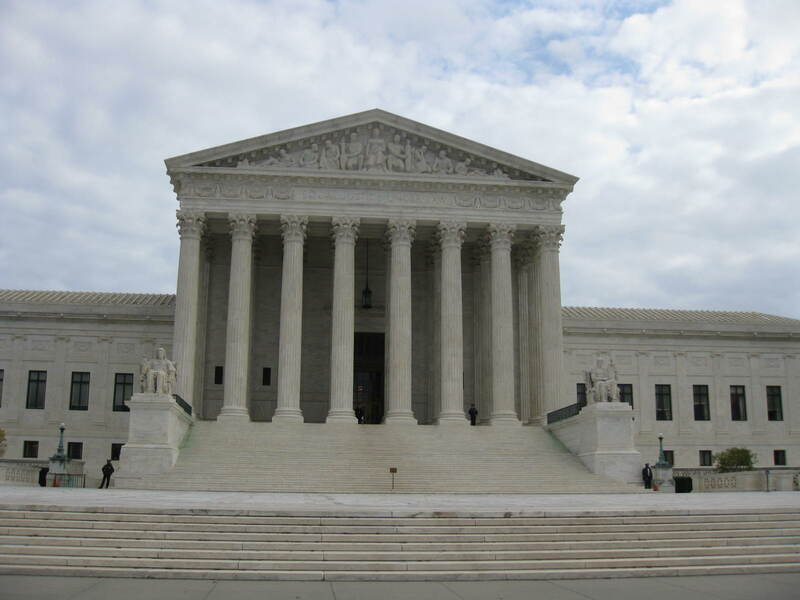 It’s considered to be the 3rd largest emitter of CO2 in the U.S..
February 9, 2016, U.S. Supreme Court voted, in a 5 to 4 ruling, to delay the implementation of President Obama’s Clean Power Plan until legal challenges are resolved. Just how disastrous is the Supreme Court’s recent ruling? 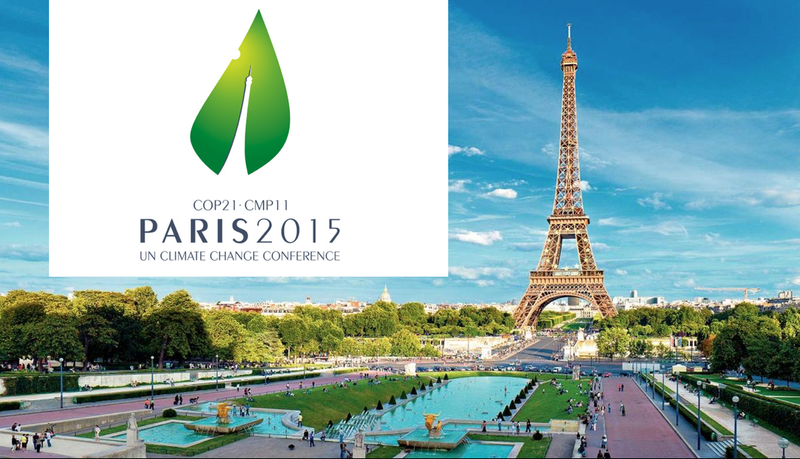 The U.S. Paris climate commitment was based on President Obama’s executive action. Unfortunately, it is now facing aggressive challenges in U.S. courts. This Supreme Court stay raises international doubts if the U.S. can now meet its obligations. People worldwide may worry if this regulation will eventually be upheld. Image from Brian Ettling of the U.S. Supreme Court Building. November 2015. 2. Our legislative solution is the best step forward. What is the meaning of that ruling for us today? • The court “stayed,” did not overrule, the Clean Power Plan. • It is a temporary stay or hold. • It highlights the weakness of addressing climate change through executive action. • The Supreme Court could knock this executive action down. • Even if the Court upholds the plan, a future U.S. President could cancel it. • The best and most permanent solution is Congressional action, which will last across presidencies. • This underscores the importance of our work for Congress to pass our proposal. It is market-based approach favored by economists on both the left and the right. 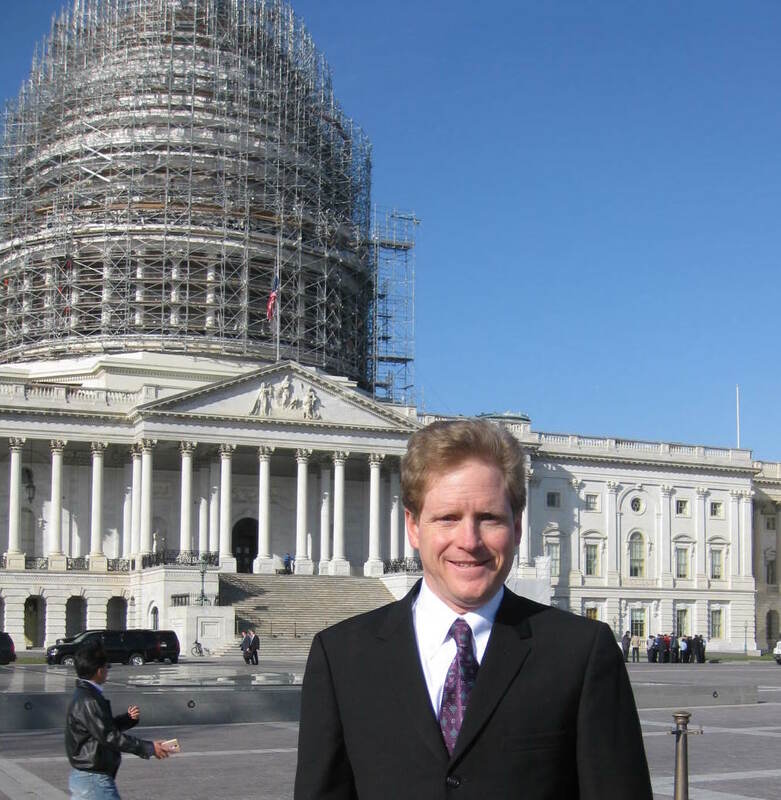 Image from Brian Ettling of U.S. Capitol Building, October 2010. 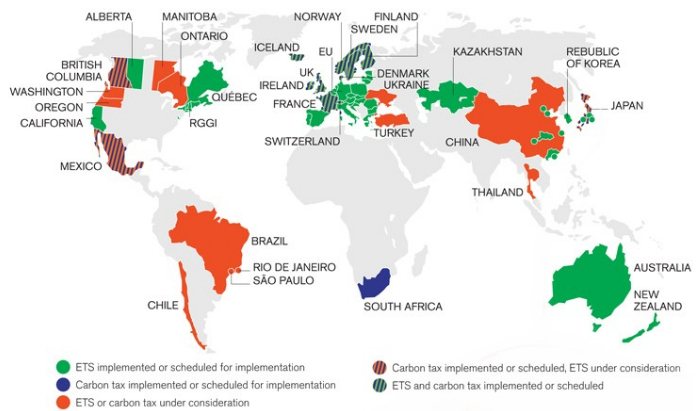 – This fee starts at $15 per ton of fossil CO2 emitted. – It is placed at the source, coal mines ,oil wells, and U.S. border. – It increases each year by $10. – Clean energy is cheaper than fossil fuels within a decade. – All of the money collected is returned to equally American households on an equal basis. – Under this plan, 66 percent of all households would break even or receive more in their dividend check than they would pay for the increased cost of energy. This protects the poor and middle class. – A predictably increasing carbon price will send a clear market signal, for entrepreneurs and investors to fully invest in the new clean-energy economy. This is a market-based solution. A 2014 study from Regional Economic Models, Inc., (REMI) found our policy would achieve within 20 years a 52 percent reduction in CO2 emissions and add 2.8 million jobs. In 20 years, the dividend checks would also increase household incomes for a family of four up to close to $400 a month or $4800 a year, which would more than cover the increasing fuel costs. Sounds great, you may be thinking, but what are the chances that this dysfunctional and partisan Congress will take bipartisan action to address climate change? Actually, there is more hope than you might think. 1. 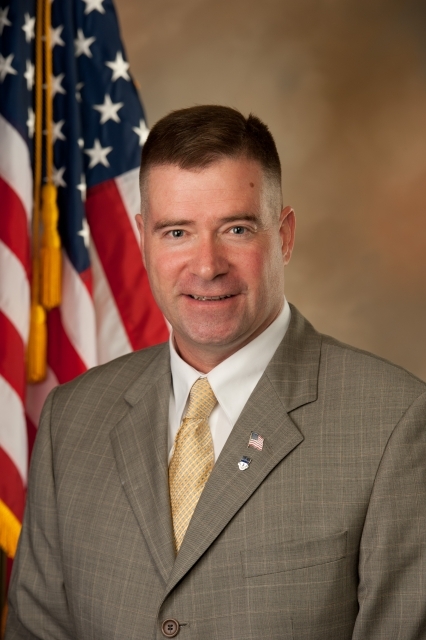 In September 2015, GOP Rep. Chris Gibson from New York introduced House Resolution 424. This resolution states that climate change could have a negative impact on our nation and that Congress should start working on solutions. It is now cosponsored by 12 other Republicans. 2. 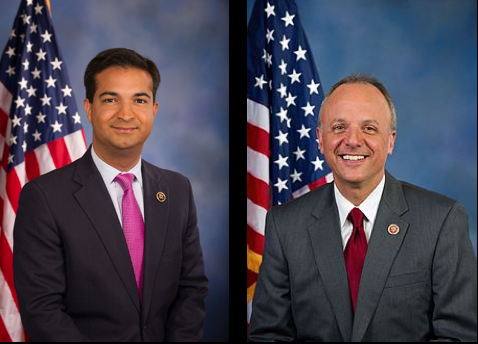 A second breakthrough happened last month: the formation of the bipartisan House Climate Solutions Caucus, co-chaired by Florida GOP Rep. Carlos Curbelo and Democrat Rep. Ted Deutch from Florida. The Supreme Court’s decision to delay the Clean Power Plan exposes the folly of relying solely on executive action to solve the most critical problem facing our civilization. As more Republicans express a willingness to come to the table, Congress must pass our Carbon Fee & Dividend proposal. Our solution can bridge the huge partisan divide. At this point, I will take questions from the audience for the next 5 minutes. 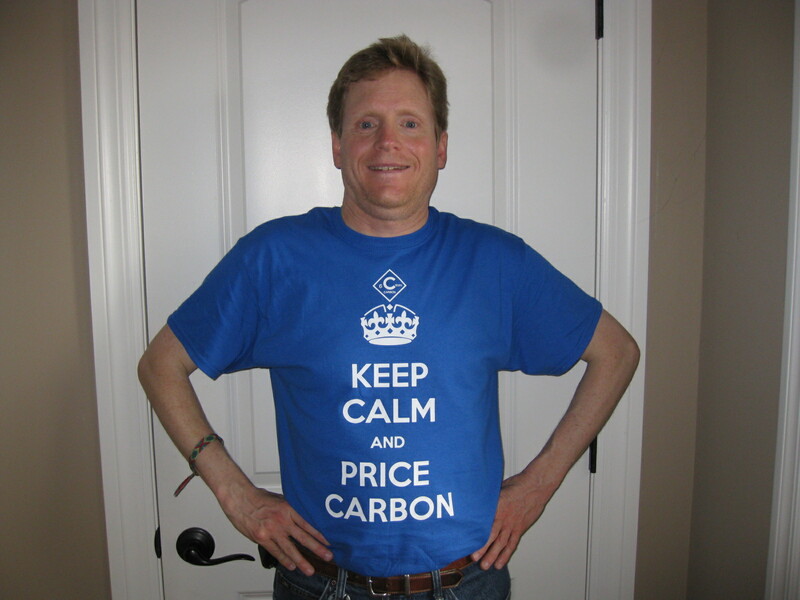 Image of Brian Ettling with his t-shirt promoting Citizens’ Climate Lobby, May 2015. I will share below the questions I received from the audience and my attempts to answer the questions. 1. How do I forsee the dividend program continuing when the projection is that fossil fuel usage will decrease? As a result one could see that there would be less money to return to households and eventually it would not be able to sustain the increased costs of fuels. The was a question asked by my fellow Toastmaster, Erin. While I did spend hours trying to anticipate questions that would be asked of me, I will now admit that I was stumped by this question. Since I was stumped, I tried to ask Erin if she meant if the costs of fossil fuels would be higher than the dividend at the end of 20 years. Erin still wanted to press me on the point that we would be using less and less fossil fuels. I responded ‘That is the goal to keep using less and less fossil fuels and emitting less and less carbon dioxide. At that point we will have won and the economy will have switched over to nearly 100% clean energy.’ I then reiterated my point that the dividend would more than cover the costs and I promised to get back to her on that. Erin still wanted to keep pressing me on this. She was still convinced that the increased carbon taxes and the diminishing use of fossil fuels would cause the dividend checks to get smaller. Therefore, it would not cover the increasing costs. At that point, a guest visiting the club then spoke out to defend the carbon fee and dividend. It was hard for me to hear his opinion because he turned his back to me to address Erin and Adam. To regain control of the question and answer period, I then pivoted to the next Toastmaster who had a question for me. This was an excellent question from Erin. Since I am not an economist and I do not run economic models for a living, I felt out of my league trying to answer that question. Thus, I did e-mail Scott Nystrom, Senior Economic Associate at REMI, who was the lead author of the study, for a response. If I do not hear back from Scott, I will make sure to ask staff with Citizens’ Climate Lobby more familiar with the details of the 2014 REMI study how they would have responded. Since I have been a member of South County Toastmasters for the past five years, I have become friends with Erin and Adam. I even invited Erin and Adam to my wedding last November. Adam and I have very different on politics and climate change. I look at the world through a very strong progressive view with a strong acceptance of climate change. Adam considers himself to be a strong libertarian and he is very doubtful of human caused climate change. We have struck up a friendship through Toastmasters. I have even sought out Adam’s advice for my climate change speeches to be able to better reach his segment of my audience. Adam and Erin are dating. In conversations with Erin, she seems to agree with many of his world views. Thus, I was fully expecting to get skeptical questions from Adam and Erin. In the past, I have met with Adam to practice my climate change speeches and draw out his questions so I would be better prepared. I debated to do this for this speech. Professional speakers do know how to better control a question and answer session where anything can happen. Some use techniques of having friends in the audience ask a question that they will know in advance how to answer. I did not want to do that trick for this Toastmasters speech because I did want to be able to fully think on my feet. I have given around 100 climate change talks over the past five years. I fielded lots of questions from the audience during these talks. Sometimes I felt I succeeded with my answers with the audience. Other times, I failed because I did not know enough information or my response ended up triggering a contentious argument with the audience member. 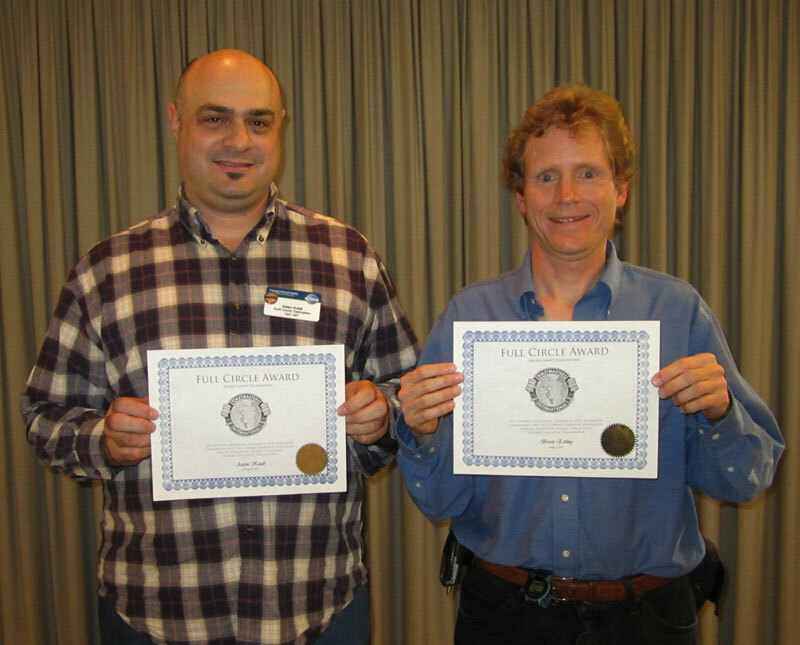 Adam Kutell and Brian Ettling receiving a reward from Toastmasters, May 2012. “Erin, that is an excellent question. Believe it or not, in my previous years of talking about climate change, Citizens’ Climate Lobby and the the REMI Report, nobody has asked me that question before today. I spent many hours trying to prepare for this question and answer period. However, you asked me one question where I will admit my knowledge is limited. Here is my quick response to attempt to answer your question: My understanding from the REMI report is showing is that the revenue for the dividend would keep increasing over 20 years. As the costs of fossil fuels would keep increasing, it would more than cover the costs. However, I don’t have any details beyond that so I will do more homework and get back to you. I am fully confident that economists involved with this study are aware of your concern and I have no doubt they have already addressed it. When Citizens’ Climate Lobby (CCL) commissioned REMI to do this study, CCL deliberately sought out REMI because they ‘are committed to quality data free of ideological taint that you might get from some think tanks.’ REMI is truly nonpartisan advising organizations from the the American Gas Association (AGA) and the Nuclear Energy Institute (NEI) to the National Education Association (NEA) and the International Brotherhood of Teamsters. They have a stellar reputation in Washington D.C. and nationally for providing impartial and totally independent economic analysis. CCL did not attempt to influence the outcome of the report in any way. Their first priority is a livable world, and we can’t get there without an honest and clear-eyed view of the facts. Having said that, I can still understand how you are skeptical. I would just ask that you let me dig deeper. Let me see if I can contact the author of the study, Scott Nystrom, and get back to you. 2. I understand you clearly said that this is a market driven solution and not government regulations. My interpretation is that it is not market based. It is not the free enterprise. Corporations are not going to freely volunteer do this. It will only happen with major rigid government controls. Can you please explain that? This second question was from my friend and fellow Toastmaster Jim Bubash. He freely calls himself a “climate denier,” so I was not surprised that he would ask a question that was critical of my speech. From the readings I did on the Citizens’ Climate Lobby website, I felt much better prepared for Jim’s question and more confident in my answer. 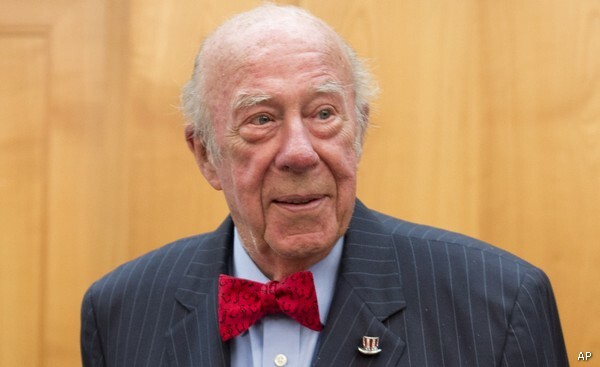 I answered, “George Shultz is on is actually in favor of our plan. 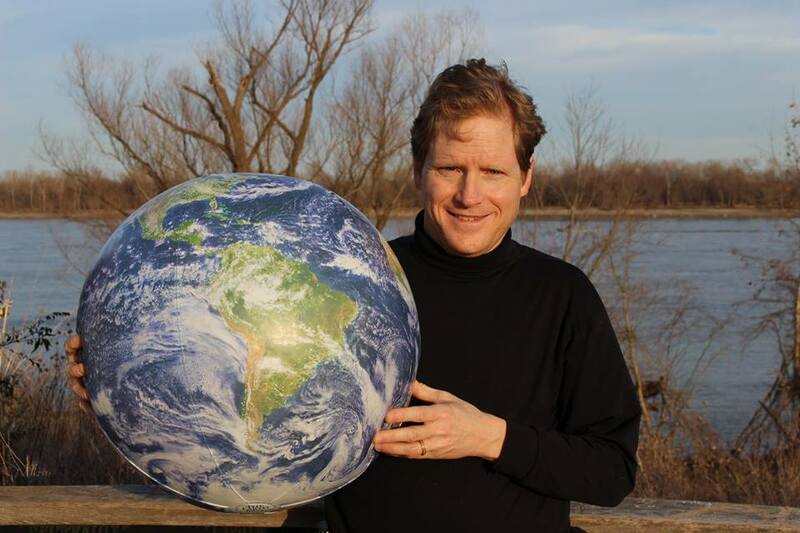 He is on the Advisory Board for Citizens’ Climate Lobby. He has said (the carbon fee and dividend plan) is the simplest, most transparent, and the easiest to administer because basically you collect the fee at the source, the coal mine, oil mine or the U.S. border and you return that revenue. It is strictly passing through the government. You do not have to increase any regulations with this. “This is not a question but to really address what some people are saying. If you owned a restaurant and you dumped your garbage into the street, you would not be allowed to do that. (Garbage collection) is supposed to be factored into your cost of business that you pay someone to collect your garbage. Yet, we are letting these companies dump what this is, which is garbage, which is going to poison our planet and going to destroy this civilization and the human race. We are letting them dump their garbage into our atmosphere and poison all of us. At this point, my 11 minutes were up, I had to cut off Cathy, end my time, and thank the audience for their time. 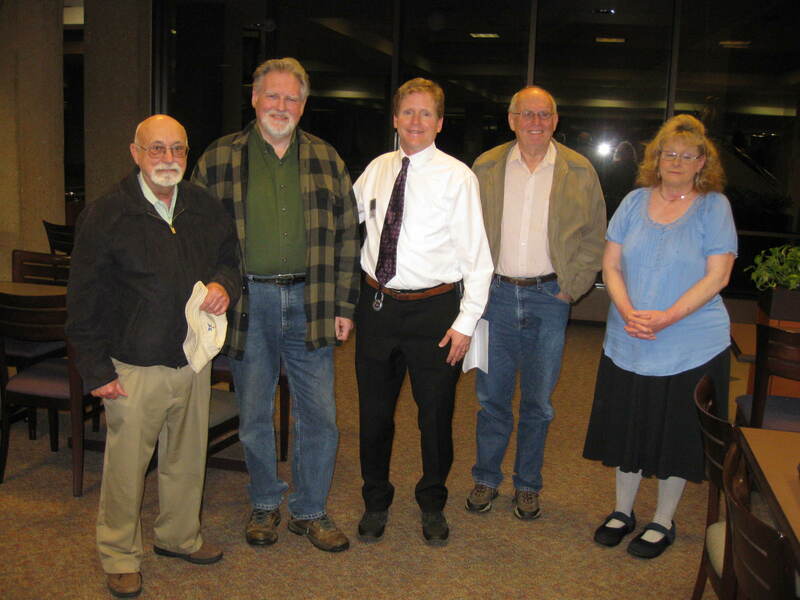 From left to right: Ron Trimmer, Don Diekmann, Brian Ettling, Robert Vest, and Cathy Bell. In that final minute of my question and answer period, I did think that Cathy did a eloquent job of expressing a key point of climate scientists, economists, and climate activists. We must stop using our air supply as an unregulated and unpriced sewer to dump our carbon emissions. Citizens’ Climate Lobby’s carbon fee and dividend is just a tool to correct a market failure. This market weakness could led to very nasty consequence if we don’t act fast to reduce the threat of climate change. Just like what I talked about in my speech, Citizens’ Climate Lobby’s carbon fee and dividend is a solution that can help create a more livable and sustainable planet. This entry was posted in Uncategorized on April 2, 2016 by bettling.